The updated e-puck library handles automatically the various hardware revisions in order to be compatible with the existing standard software. 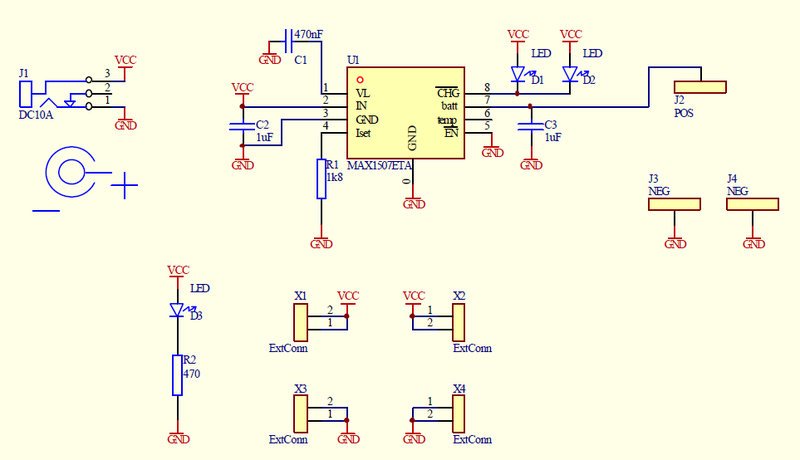 This project (src) is an example on how to write the last word of the EEPROM. Beware that not all robots are shipped with the EEPROM programmed as specified previously. It is up to the user to check this modification by simply using the advanced sercom demo (selector in position 3) and requesting the version (command v); the hardware version returned by the command corresponds to the value of the last word of the EEPROM. For users playing with e-puck HWRev1.3 and gumstix extension refer to section Accelerometer and gyroscope (e-puck_HWRev_1.3). From HWRev 1.3 the microphone sensitivity resulted a little bit different from the previous hardware revision; some empirical tests show that the difference is about ±15% so beware to adapt the thresholds in your applications if you need. The hardware specifications are valid for all e-puck models, except when explicitly specified with an hardware revision. 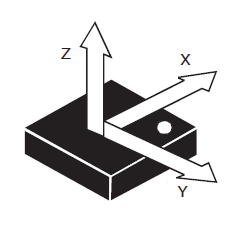 The communication between the robot and the computer can be also handled with a serial cable; the serial connector position on the robot, the related cable and the electric schema are shown on the following figures. In order to communicate with the robot through a serial line, the robot firmware must be implemented using the functions of the UART2 instead the one of UART1 (BT). All the functions implemented for the UART1 are also available for the UART2, so it's only a matter of changing the function call names. Anyway the standard firmware contains already a mode that communicates over serial line selecting position 11; in this mode you can configure the BT. The camera, the ground sensors extension, the accelerometer (e-puck HWRev 1.3 only) and the gyro (e-puck HWRev 1.3 only) are connected to the I2C bus as slave devices (the microcontroller is the master). The y command of the Advanced sercom protocol. can be used to read the registers values of these sensors. 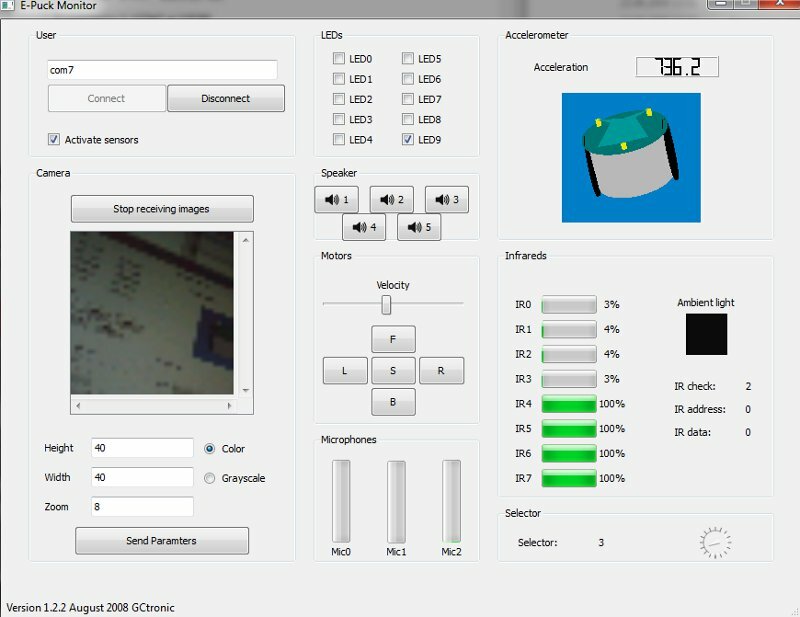 For instance you can read the camera id with the following commands: y,220,0 and y,220,1 that return respectively 128=0x80 and 48=0x30 (id=8030). In the same way you can read any register with the general command y,220,REG_ADDR. For the accelerometer you must use 60 as device address (y,60,REG_ADDR) and for the gyro you must use 212 (y,212,REG_ADDR). The device address value to be used with the y is obtained by shifting by one position left the I2C 7-bit address of the device, for example the camera 7-bit address is 0x6E, by shifting one position left we get 0xDC=220. The new batteries of 2016 are bit heavier (38g) but a bit more powerful (1800 mAh). The look is similar to the previous batteries and they are of course compatible with the robot and the charger. 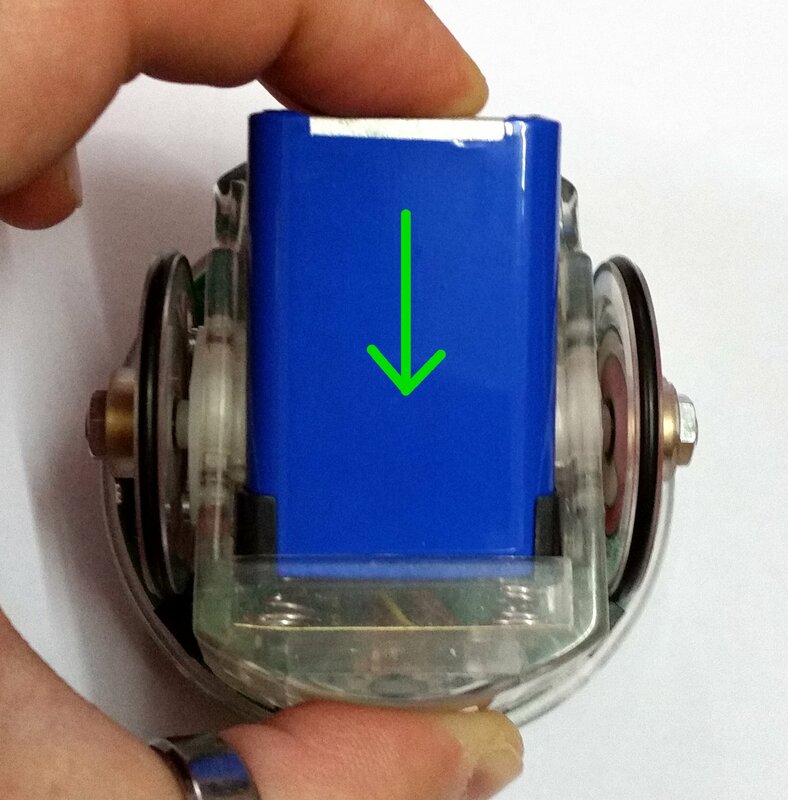 Take care when inserting the battery in the robot to not scratch the plastic sticker. You would need to apply a bit more force than before when inserting and removing the battery. The battery is covered with a plastic protection in order to avoid any possible short circuit during inserting/removing of the battery. 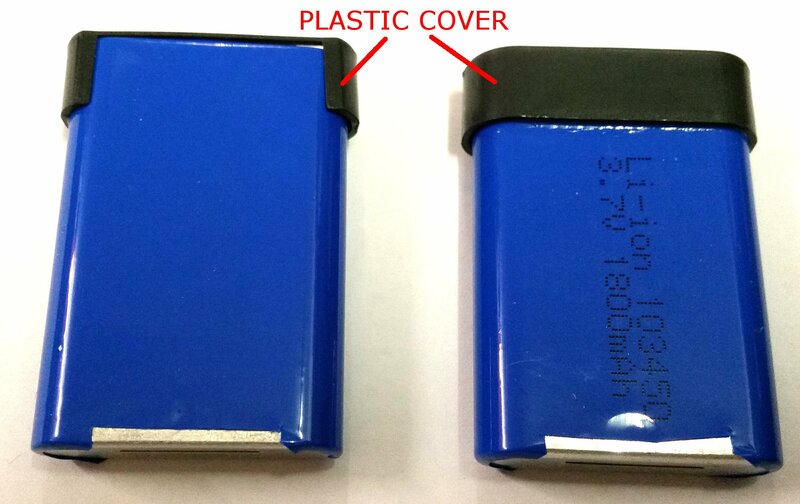 The battery can be inserted only in one way: the side where the plastic protection do not cover completely the battery "top" must be towards the ground. DO NOT REMOVE THE BLACK PLASTIC PROTECTION! This battery doesn't fit perfectly in older chargers, but it can be inserted anyway in the charger in order to make a good contact and charge it; when the contact is ok you will see the led turned on. The new batteries of 2013 are lighter (33g) and a bit more powerful (1600 mAh). The look is different but they are of course compatible with the robot and the charger. Take care when inserting the battery in the robot to not scratch the plastic sticker. Is not a safety issue but keep them nice as in the beginning ;-). DO NOT REMOVE THE PLASTIC PROTECTION! The robots delivered in 2012 had a small difference regarding the battery; the type of battery is always the same but the mechanics of the positive pin is slightly different from one version to the other. The version with the black plastic cover comes out a bit more then the version with the brown cardboard cover. The e-puck contact has been slightly modified to have a better contact with both versions as shown in the following figure; see the Contact-modification.pdf document to get more information on how to apply this modification. The charger makes contact with both versions, as illustrated below. 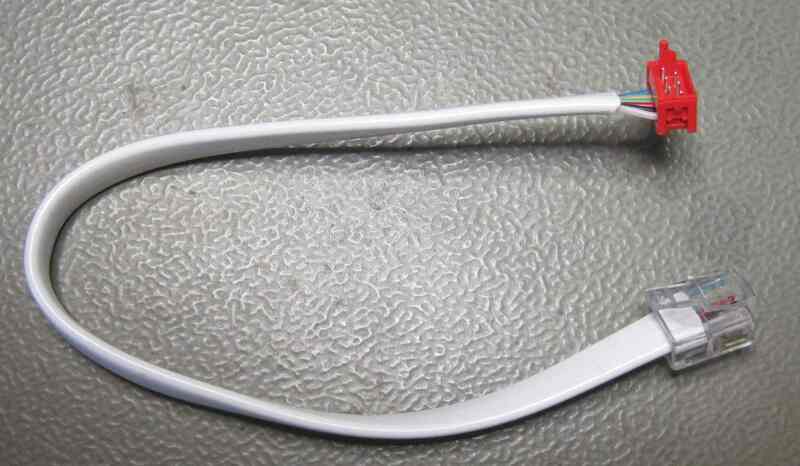 The positive pin has the tendency to get a bit oxidated and might need to be scratched a bit for a perfect connection. The circuit diagram of the e-puck charger is available on the following link charger-circuit-diagram.png. 3) execute a terminal program (e.g. minicom for Linux or teraterm for Windows) and configure the connection with 115200-8N1. 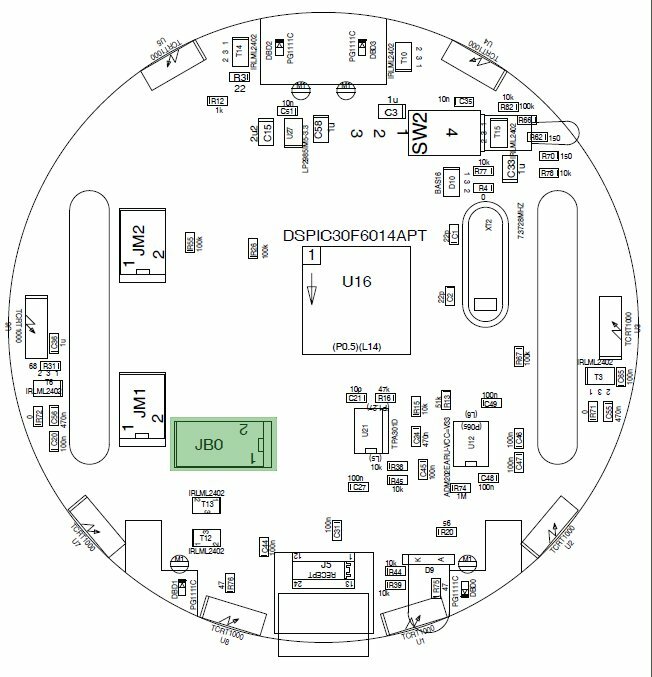 The serial device path should be typically something like "/dev/rfcomm0". Make sure that the flow control parameter of minicom called "Hardware" is set to "No"
The embedded software running on the e-puck is continuously extended and managed in the following git repo https://github.com/gctronic/e-puck-library. The repo comprises a complete library to work with all the sensors mounted on the e-puck and is the basis for many demos. 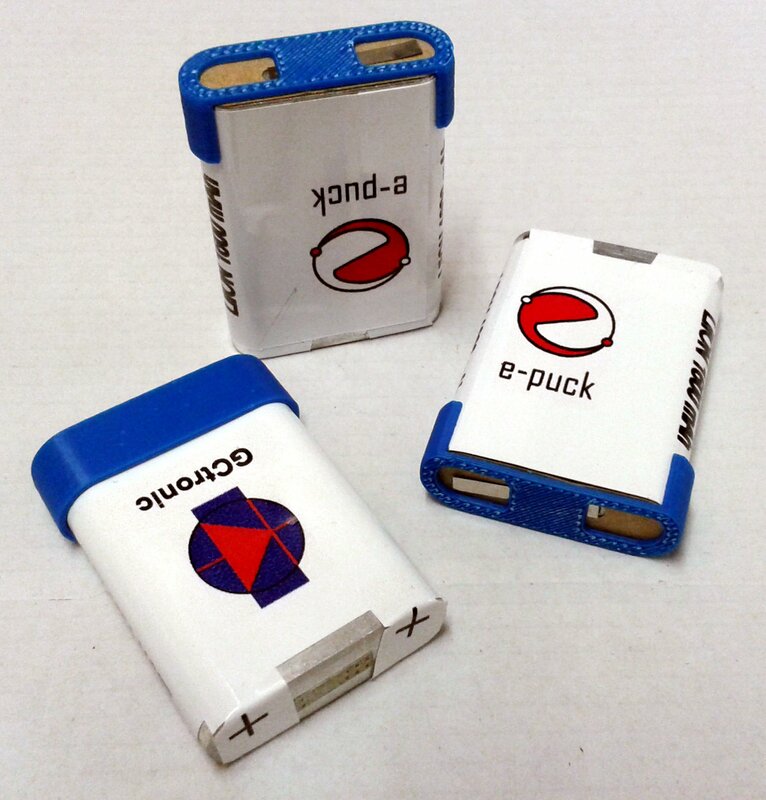 You can download the library documentation form the following link e-puck-library.pdf. EPFL demo project: some nice demos bundled in one project, such as sound source location, obstacle avoidance and color blob detection (red and green). Some of these demos are included in the GCtronic standard firmware. 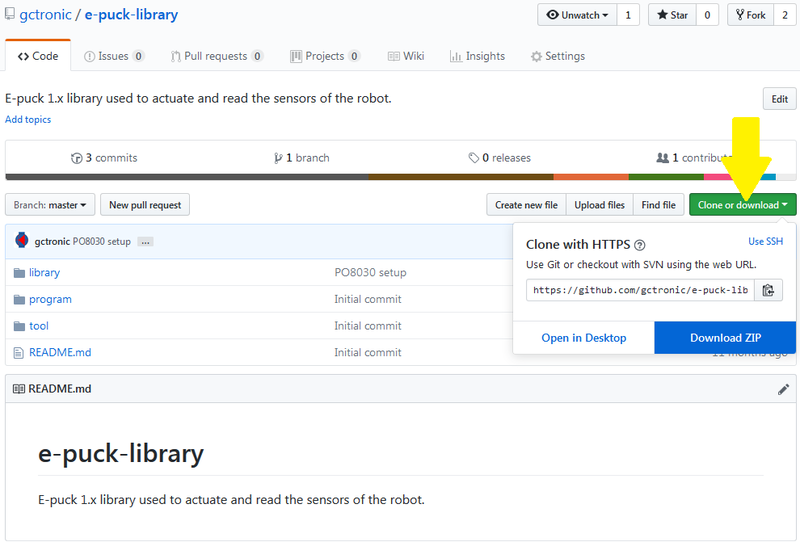 In order to download a snapshot of the repo, go to the https://github.com/gctronic/e-puck-library page and then click on the green botton named Clone or download and select Download ZIP as shonw in the following figure. 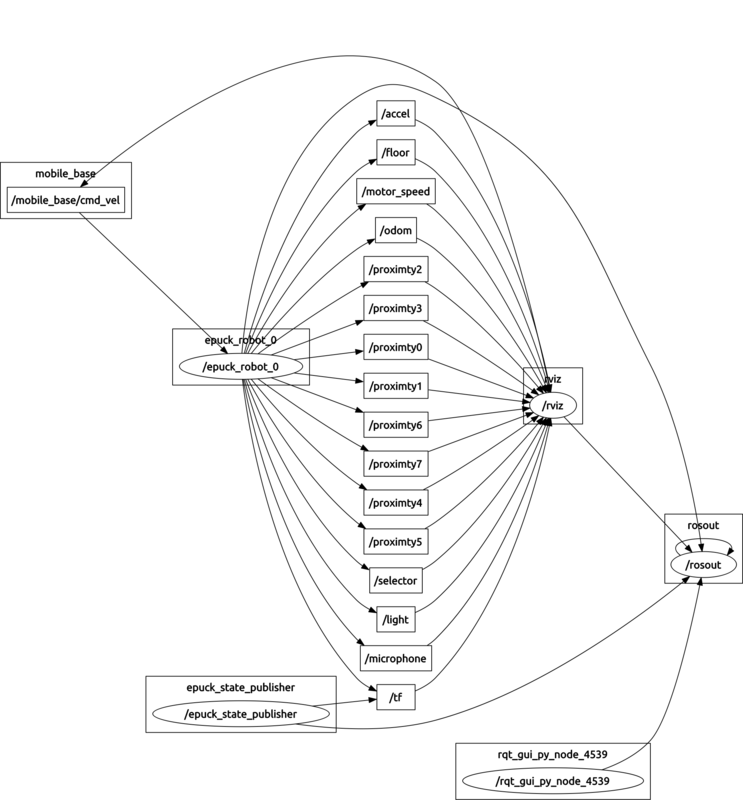 As previously mentioned the git repository includes a library to which many demos are linked. Only updates to this library that will be useful to others people and/or correct errors should be commited; some demos of this wiki makes changes to the library for the solely purpose of running the demo and thus they aren't commited to the repo. The library folder basically never change (unless bug fixes or new features for all users are developed). All the projects have a reference to this library folder in their build options. 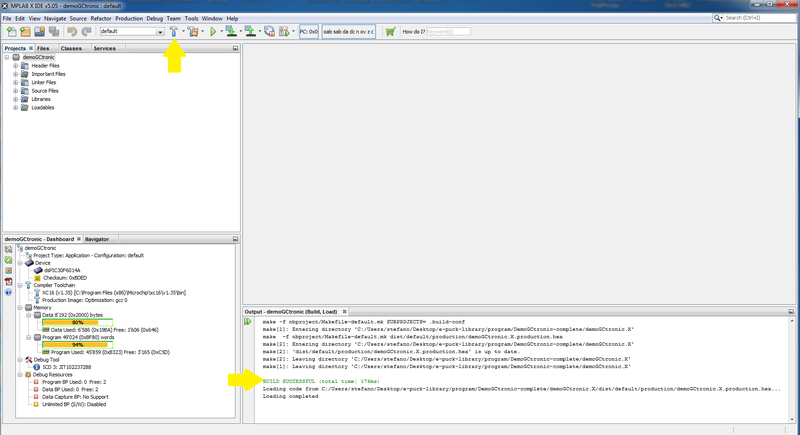 If some library files are modified for the current project, they are inlcuded in the project folder following the same structure of the original library, as shown for project1. 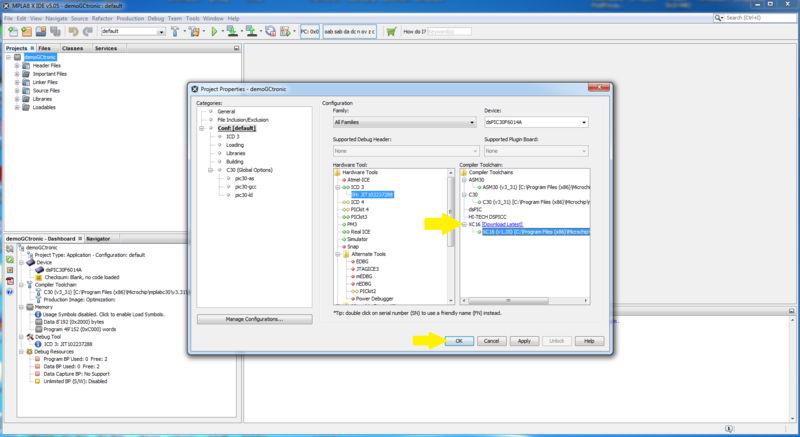 In order to build the project you then need to add all the modified library files from the project directory and all the others files from the main library folder. Not all files are always needed, it depends on the features that are used; for instance if the camera isn't used, the related library file could be omitted from the project saving memory space. Selector position 0: Shock detection. 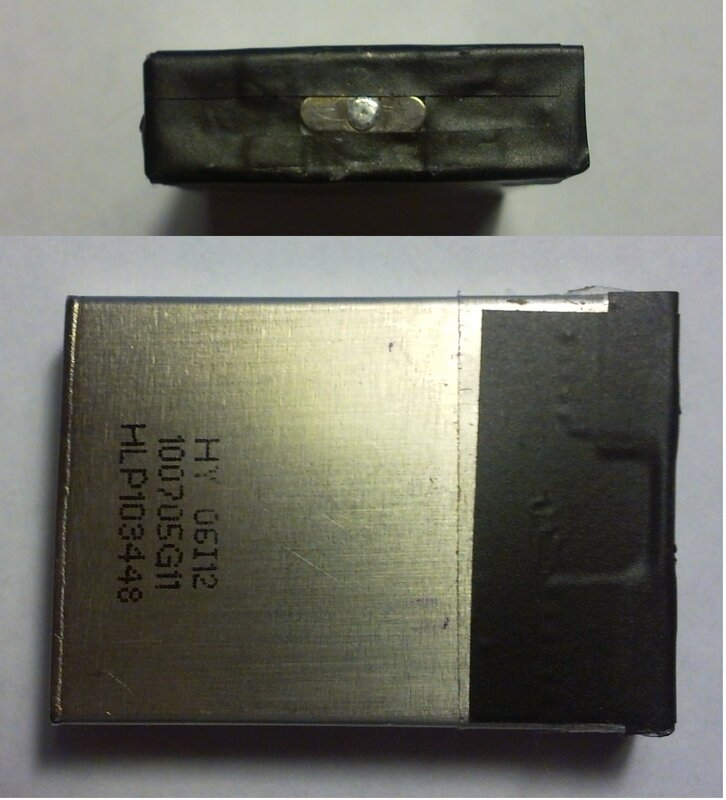 Look at runaccelerometer.h for more information. Selector position 1: Detect the sound source. Look at rundetectsound.h for more information. Selector position 2: Follow the wall. Look at runwallfollow.h for more information. Selector position 3: Advanced sercom protocol. 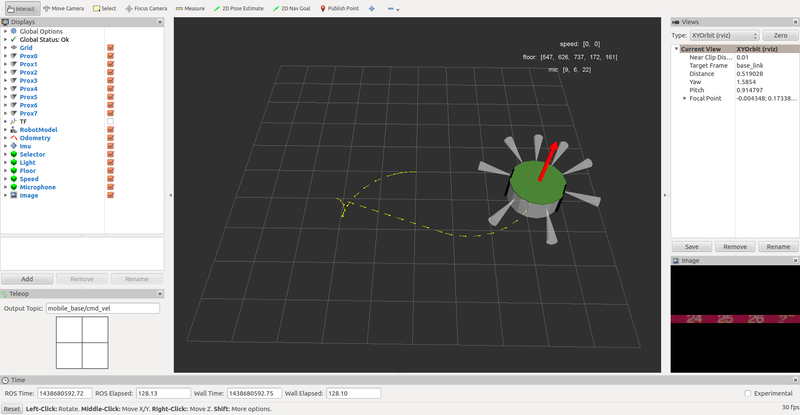 Selector positoin 4: Let the robot move in a square path (using either odometry or gyroscope). Selector position 5: Sensor "feedback display". Selector position 6: Camera points to light. 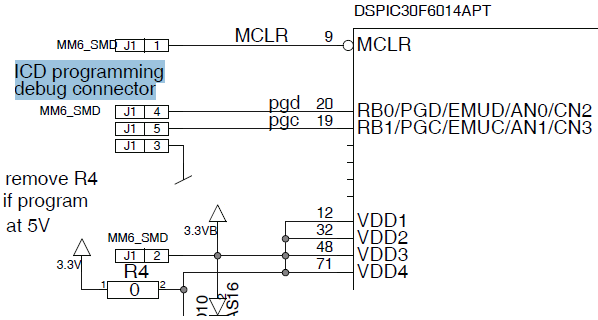 Selector position 7: Act like the ASL RS232 - I2C translator. Selector position 8: Show the ground direction. Look at rungrounddirection.h for more information. 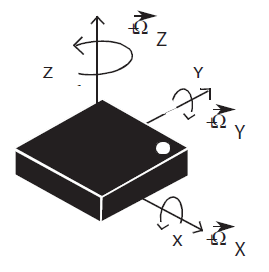 Selector position 9: Show the rotation rates of the gyroscope axes. 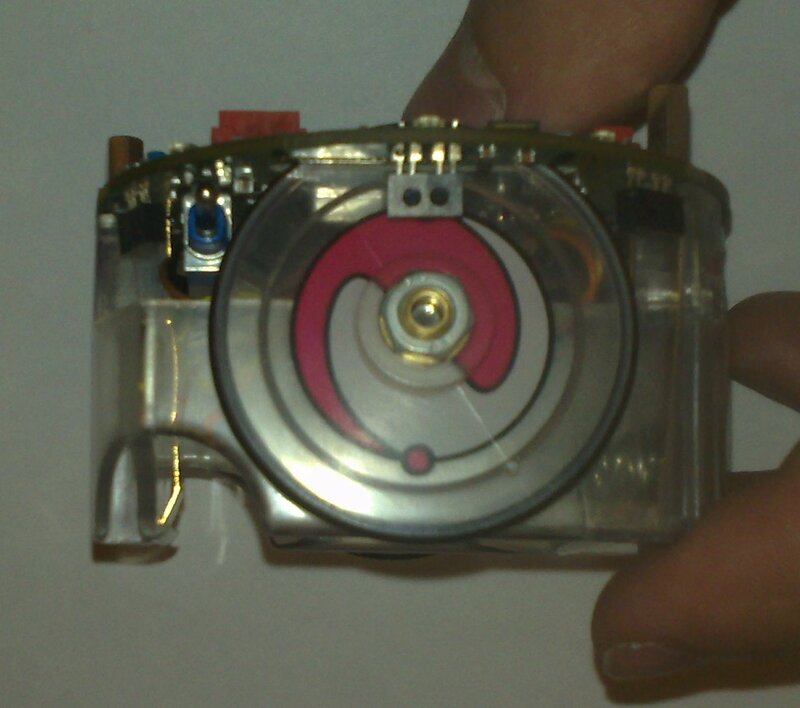 Look at the rungyroscope.h for more information. 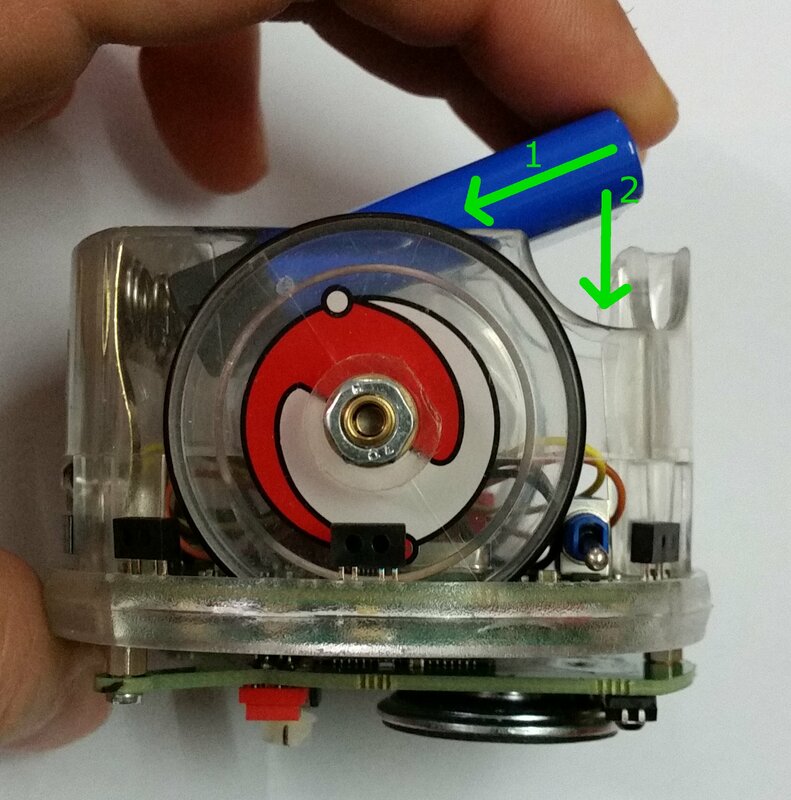 Selector position 10: This position is used to work with the gumstix extension. Selector position 11: Bluetooth configuration (serial communication). Selector position 12: Global test (serial communication). Selector position 13: Uart1 to uart2 transponder. Selector position 14: Follow what is detected by the two front proximities detectors. Look at runbreitenberg_adv.h for more information. Selector position 15: Simple dust cleaner behaviour. The pre-built fimrware is available from DemoGCtronic-complete.hex. You can have a look at the source code from the following link https://github.com/gctronic/e-puck-library/tree/master/program/DemoGCtronic-complete; beware that the project is actually included in the e-puck library repository, refer to section Library to download it. In order to build the project you need to install the MPLAB X IDE and related compiler, refer to section Programming: MPLAB X. The standard firmware project is based on the e-puck library (refer to Library section). 2) Open MPLAB X, then click File=>Open Project and select the project file demoGCtronic.X you can find in e-puck-library\program\DemoGCtronic-complete. If you're asked to upgrade the project to the current IDE version, click yes to confirm. If you are interested in development of embedded applications, you should firstly choose an adequate development environment. One of the most known IDE is the MPLAB Integrated Development Environment that you could download for free from the Microchip site; Microchip offers also the C compiler for free. One big advantage of this IDE is that it is multiplatform (Windows, Linux, Mac) and also the compiler is available for each platform. Useful information related to the compiler can be found in the MPLAB XC16 C compiler user's guide. Aseba is a set of tools which allow novices to program robots easily and efficiently, refere to https://www.thymio.org/en:start for more information. Here is the page with the basic information needed to start working with Aseba and the e-puck robot https://www.thymio.org/en:e-puck. You can download an MPLAB X project based on the git repo https://github.com/aseba-community/aseba-target-epuck in the following link aseba.zip; place it in the "e-puck-library/program" folder (refer to section http://www.gctronic.com/doc/index.php/E-Puck#Library for more information on how to build). You can download the last aseba firmware for the e-puck from the following link aseba-target-epuck.hex. Beware that at the moment the only bootloader capable of uploading the aseba-target-epuck.hex to the robot is the Linux version. Linux executable: before running the executable, type "chmod +x file"
Since the last version comprises a basic OpenGL representation of the e-puck you will need also the OpenGL extension libraries in order to compile the project; these should be included in the Qt SDK, but if you encounter problems refers to http://doc.trolltech.com/4.6/qtopengl.html#details; basically you need to download manually the OpenGL libraries: GLX (Linux), CGL (MacOS), WGL (Windows). Once the project is built dynamically, some errors about missing dll may be thrown; one of these missing libraries could be the mingwm10.dll. Others could be related to Qt. To solve the problem you need either to build the project statically, or to register the libraries on the system, or to manually include all the dll with the executable. 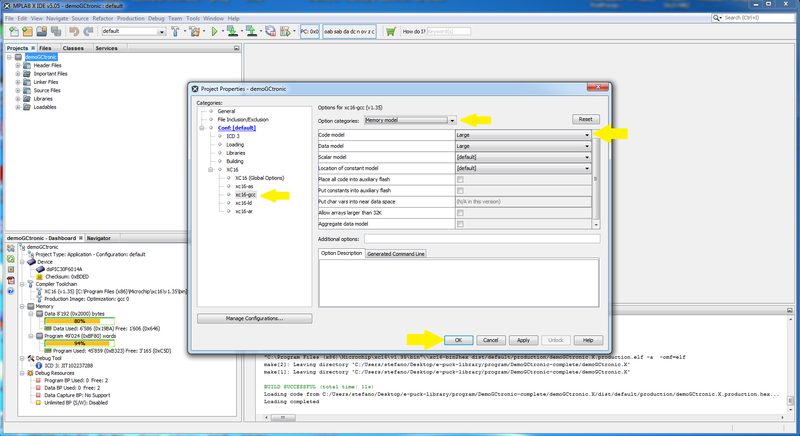 A Python example is available for e-puck2 in the following section PC side development: Connecting to multiple robots. This example is compatible also with the e-puck1 robot. The following set of simple programs for the e-puck has an increasing degree of complexity, from very basic LED blinking up to motor control depending on sensor input; it's a good starting point for beginner users. The first demos do not use interrupts and keep to a minimum the use of the library. You can download the set of these demos from this link BasicDemos.zip. Compilation: the demos can be edited and compiled using MPLAB IDE (windows), clicking directly on the project file. The demos should be compiled with MPLAB-C30 on all operating systems. The compiled .hex file is downloaded to the e-puck robot via Bluetooth using for example tinyBootloader. This demo program (hex file, MPLAB project) let the e-puck recording for about two seconds whatever you like and then reproduces it infinitely. The program starts with a led animation (flow) and then turns all leds on for about two seconds, this is the moment for recording; note that only the right micro (mic0) is used. It's possible also to choose the volume/amplification of the reproduction using the selector (from 1 to 16). This demo program is optimized to let the robot handle images with resolution up to 640x480 pixels (the maximum reachable by the camera); after acquisition, the robot sends the images to a computer through bluetooth. 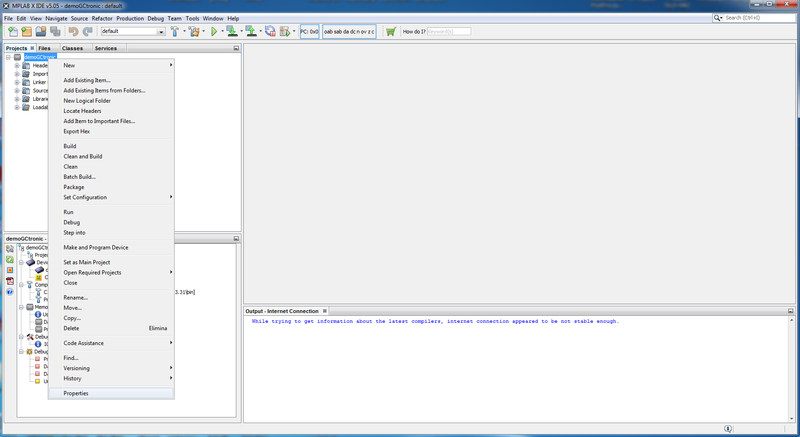 This zip ImageReceiverBT.zip contains both the program for the robot (hex file) and the application for the computer (Windows platform). The selector of the robot must be in position 3. You can find the sources for the application running on the computer side from this link ImageReceiverBTsrc.rar. You can find the MPLAB project for the application running on the robot from this link DemoGCtronic-vga-images.zip. From the official e-puck site you can find information about others software tools available for the e-puck robot in the following link http://www.e-puck.org/index.php?option=com_content&view=article&id=18&Itemid=24. An example of such tools is the libIrcom, a local communication library exploiting the proximity sensors placed around the robot to modulate infrareds. If an higher throughput and longer communication distance are required, there is the range and bearing extension designed for this purpose. First of all you need to install and configure ROS, refer to http://wiki.ros.org/Distributions for more informations. Alternatively you can download directly a virtual machine pre-installed with everything you need, refer to section virtual machine; this is the preferred way. This tutorial is based on ROS Hydro. If you downloaded the pre-installed VM you can go directly to section Running the ROS node. The ROS epuck driver was initially developed by the Verlab Laboratory at Universidade Federal de Minas Gerais, the related code can be found in the following repository https://github.com/verlab-ros-pkg/epuck_driver. It is based on rospy (Python). 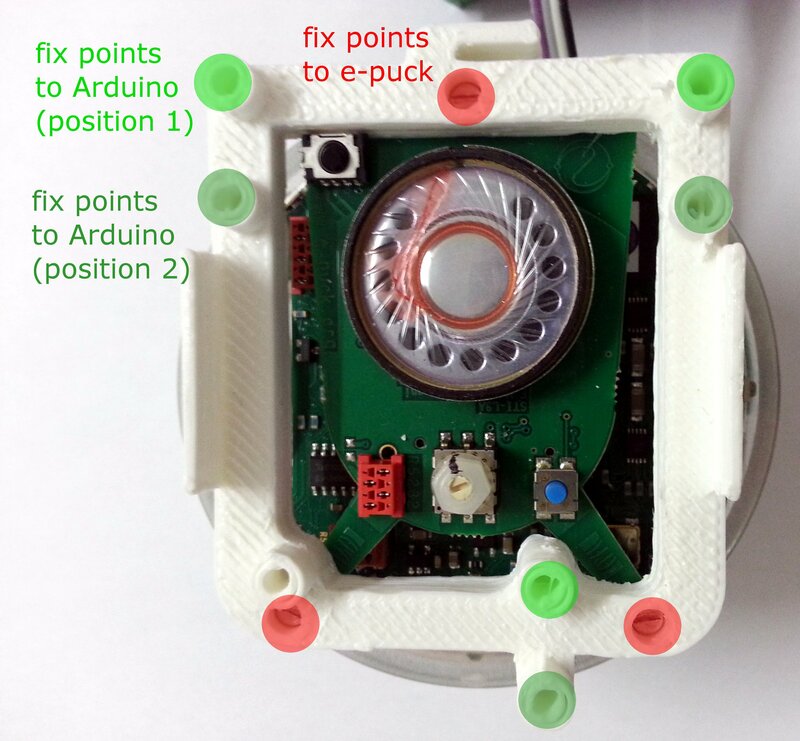 We extended the initial driver to support all the e-puck sensors, the code can be found in the following repository https://github.com/gctronic/epuck_driver. Starting from the work done with the ROS epuck driver for python, we developed another ROS node based on roscpp that has the same functionalities; the code can be found in the following repository https://github.com/gctronic/epuck_driver_cpp. Finally build the driver by opening a terminal and issueing the command catkin_make from within the catkin workspace directory (e.g. ~/catkin_ws). If you're using Pyhton make sure the node is marked as executable by opening a terminal and issueing the following command from within the catkin workspace directory (e.g. ~/catkin_ws): chmod +x ./src/epuck_driver/scripts/epuck_driver.py. The ROS e-puck driver based on roscpp has the possibility to automatically search for the robots, so you don't need to specify the mac address but you need to pass only the robot id; pay attention that you still need to pair the robot to the computer as explained in the previous steps. Anyway is recommended to specify the mac address to speed up and facilitate the connection (especially with multiple robots). First thing to do before launching the script file is running the roscore, open another terminal tab and issue the command roscore. Python: roslaunch epuck_driver epuck_controller.launch epuck_address:='10:00:E8:C5:61:C9'. cpp: roslaunch epuck_driver_cpp epuck_controller.launch epuck_id:='3000' epuck_address:='10:00:E8:C5:61:C9'. 10:00:E8:C5:61:C9 is the e-puck Bluetooth mac address and 3000 is the e-puck id (number on the case). 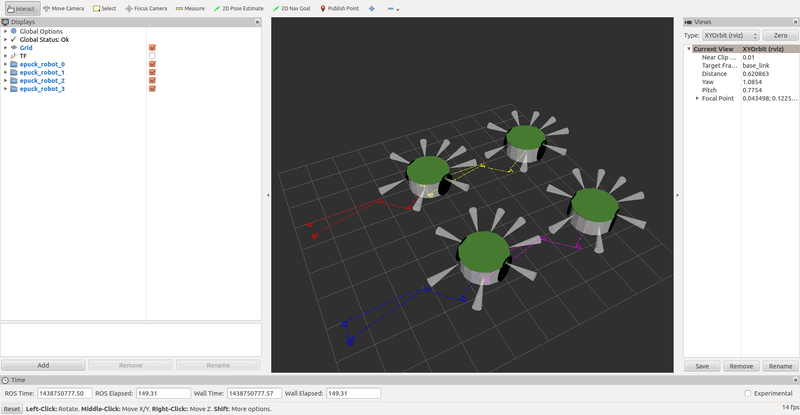 If all is going well you'll see the robots make a blink meaning they are connected and ready to exchange data (the blink is done only when using the Python ROS driver) and rviz will be opened showing the proximity and odometry of all the 4 robots; it is assumed that the robots are placed in a square (each robot in each corner) of 20 cm. Then with the Python ROS driver you need to open another terminal and issue the command rosrun image_view image_view image:=/camera that will open a window wiht the e-puck camera image. The Webots simulator integrates a ROS controller that publishes the sensor data of the e-puck robot in ROS, then we can exploit the multitude of packages available in ROS to process the sensors data and simulate the behavior of the e-puck by issueing commands through ROS. Once we're satisfied with the results in the simulator, we can test our algorithms in the real world by remote controlling the e-puck through Webots. Install the last version of Webots following the instructions; pay attention that starting from Webots 8.1.0 the support to linux 32 bit was dropped. The following instructions are based on Webots 8.2.1 and Ubuntu 14.0.4 64 bits (you can download a pre-installed virtual machine with ROS and Ubuntu from http://nootrix.com/downloads/#RosVM. For more information have a look at the Readme you can find in WEBOTS_MODULES_PATH/projects/languages/ros/nodes (e.g. /home/viki/.local/share/Cyberbotics/Webots/8.2/projects/languages/ros/nodes) or refer to the Webots user guide chapter Using ROS. The EDU license is valid to play with Webots and ROS (PRO license not required). For more information on how to use ROS with the e-puck gumstix extension refer to section http://www.gctronic.com/doc/index.php/Overo_Extension#ROS. Explanation: dividing a packet in small chunk of data (such as a single command) introduces pauses generated by the Bluetooth device of the PC. The mean measured delay time between a packet and the other is about 3 ms, but could be as high as 20 ms. Sending the packet in one single block like in the third experiment, has no pauses and thus needs exactly the theoretical time of 10 seconds for the channel at 115'200 Baud. From the tests the resulting throughput is 18 Kb/s, sending a total of 41000 bytes with 41 bytes for each packet and waiting the response from the chip before sending the next packet; moving the slave device several meters away from the master influences the communication speed, that slows down. The sources (MPLAB project) of the firmware used for this test can be downloaded from the following link DemoGCtronic-BT.zip (master=selector position 9, slave=selector position 4). There is an additional example that shows how to establish a direct Bluetooth link between two e-pucks. This firmware is intended to be programmed on the master robot (selector 0); the master will send commands using the "asercom protocol" to a slave robot, that is the first robot found during the search, in order to turn on its leds in sequence. The slave robot is intended to be programmed with the standard firmware (selector position 3). You can download the MPLAB X project from here DemoGCtronic-BT-asercom.zip; in order to build refer to section Project_building. The Bluetooth library was extended to build this demo, you can download it from here bluetooth.zip; this library must replace the one included in the e-puck library in order to build the project. 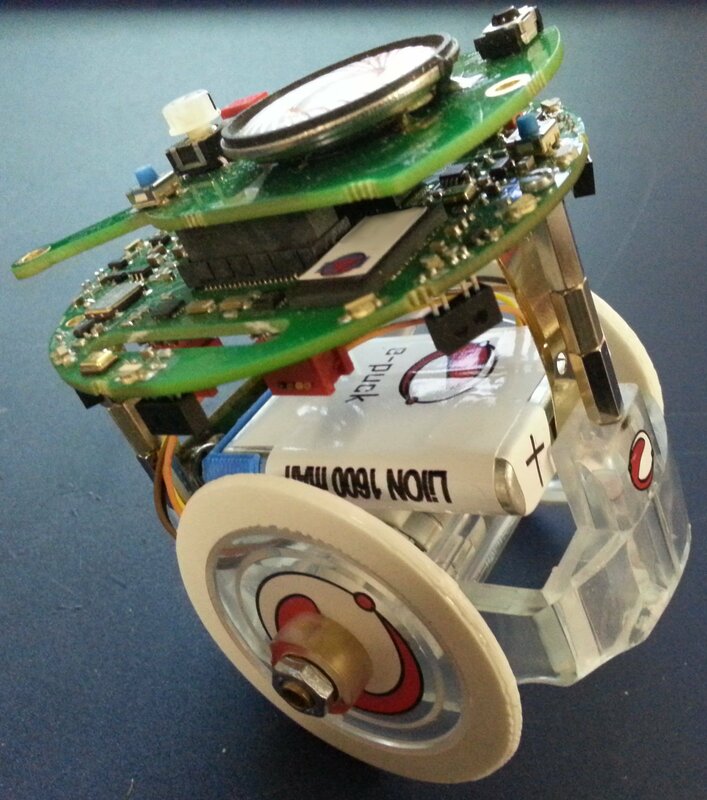 The users can transform the e-puck in a self balancing robot by applying some mechanical modifications as shown in the following figure. Here are the 3d models of the wheel tyre extension and spacer. For more information on the assembly please contact us. Here is a video of the e-puck trying to self balance; this is only a starting point to demonstrate the feasiblity, so you can take the code (MPLAB X project) and improve it. The Arduino boards are used widely in the hobby community and you can extend the functionalities of a board by using the so called shields; there are tons of shields like WiFi, SD reader/writer, battery, XBee, GSM, speech recognition, rfid, ... there is a shield for everything (almost). For these reasons we decided to connect an Arduino to the e-puck robot. 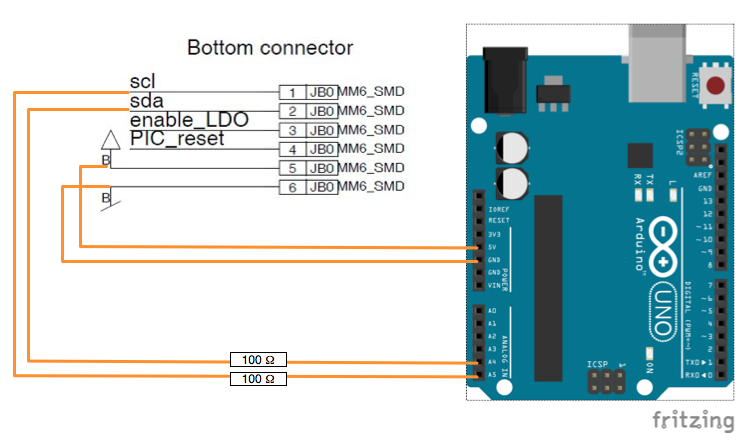 The following figure shows the schema to connect the e-puck to the Arduino Uno board; you can follow the same schema to connect to other Arduino boards paying attention to the related pinout. Power and voltage considerations: in this configuration, the e-puck battery (LiPo 3.7Volt) powers directly also the Arduino board to its 5 Volt line. This is ok for the tested demos but it might be limiting in some rare cases. Let us know your goals and experiments to get support. The I2C lines are simply protected with 2 series resistors in order to limit any excessive current into the PIC. Here is a video of a demo in which you can control the e-puck with your voice; the e-puck is connected to an Arduino Uno that is extended with an Easy VR shield for speech recognition. The source code of the demo is available in the following links: MPLAB project for the e-puck, Arduino IDE (1.6.6) project for the Arduino Uno board (you'll need the Easy VR Arduino library to build the project). A test project that works without any shield is available in the following link Arduino IDE (1.6.6) test project, this demo rotates continuously the robot right and left. It works with the same robot firmware as the previous demo. We designed a support in order to mechanically attaching the Arduino board on top of the e-puck robot as shown in the following figure. Here is the support 3D model that you can print with your 3d printer. Alternatively you can purchase an "e-puck arduino set" from the shop. In some cases it was reported that the internal bootloader on e-puck was corrupted due to a malfunction of the last code upload. In those cases the bootloader (DemoGCtronic-complete-4bba145+bootloader.hex) has to be re-flashed on the robot via cable (see figure) with ICD2 or ICD3 and MPLAB IDE or compatible HW and SW.
See the procedure (Instruction re-program bootloader.pdf) and in case of need contact info[at]gctronic.com. In a couple of rare cases it was reported that the PIN code of the Bluetooth chip was not anymore the usual one (same as e-puck number). It seems that the issue is linked to trials of robot to robot direct communication. One robot could have picked up the PIN of the other one, so you could try that PIN to get access to the robot. Another possibility is to try the default pin number 0000.
the e-puck library contains the functions to interact with the BT chip and change all its configurations including pin number and friendly name; for a code example refer to the example DemoBTConfiguration.zip, that simply rewrite the pin and friendly name (change only the pin number in the code, the friendly name will be changed accordingly). Another source of insipiration is the Standard_firmware, the part of the code related to selector 11. In case the chip isn't responding be sure it is in command mode (use the function e_bt_exit_tranparent_mode). program the robot with the Standard_firmware and put the selector in position 11. Connect the serial cable to the robot as shown in section Serial_communication and to the computer (you would need an USB to serial adapter); open the port using this configuration 115200n8. Once the communication channel is opened type the command H+enter to get the help. You can get the serial cable from the shop. 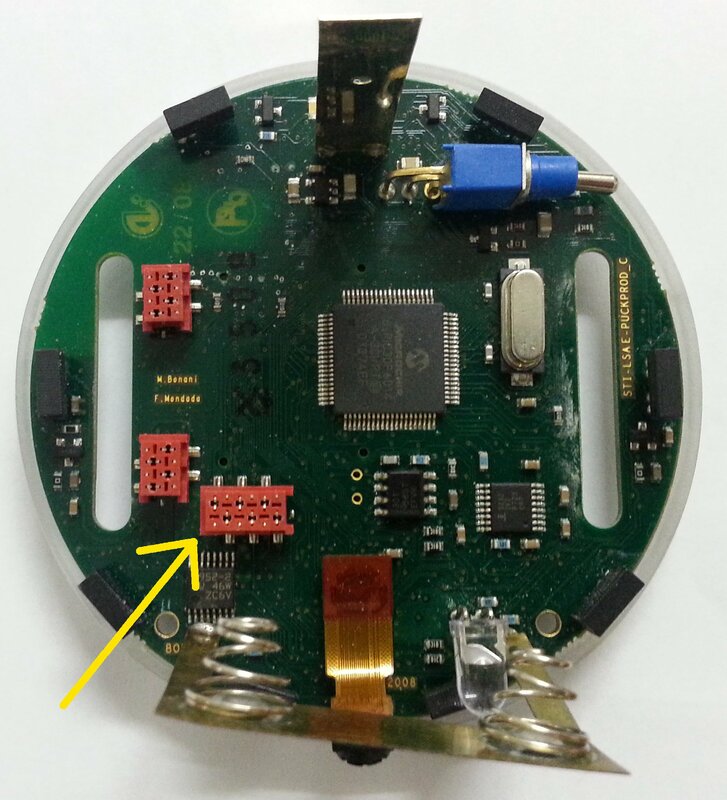 You should be careful when inserting and removing the battery of the e-puck in the robot or in the charger. Otherwise in the long run your battery will eventually lose its front isolator (plastic of cardboard), causing a possible short circuit. 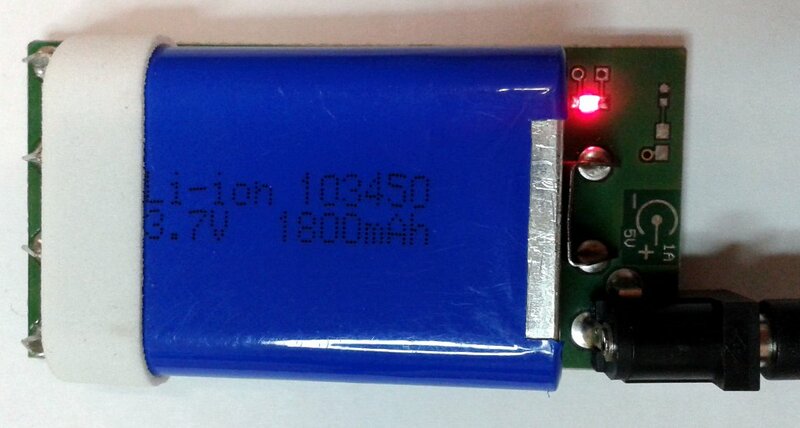 If you are already in this situation, you could try placing some isolation tape on the battery, as illustrated in the following figure. The correct procedure to insert and remove the batteries can be found in the following document Change-batteries.pdf. Basically you need to fully push in the battery compressing the springs before tilting the battery in the final position. Some users experienced problems in connecting to the robot via Bluetooth using MacBook; using an usb BT dongle solved the problem most of the time. Some users instead experienced distance problems with the internal BT chip of the MacBook, that is the robot should be kept within 1.5 meters otherwise the connection is lost/slows down. The dsPIC processor has the possibility to protect the program memory at various levels through the configuration bits; in principle these protections can be eliminated erasing completely the memory, anyway in some cases it was reported that this procedure fails, leading to a situation in which the "memory protection" still blocks and the robot cannot be programmed anymore. Thus it is advisable to avoid playing with code protection unless strictly necessary. Select "Programmer => Select Programmer => MPLAB ICD3"
In the "Power" tab set the voltage to 5.5 V and check the option "Power target circuit from MPLAB ICD 3"
Power cycle the robot (unplug and plug again the programming cable); now the configuration bits are reset and program memory is cleared completely; it's possible to upload a new program selecting "Programmer => Program"
Note that this procedure works only with the ICD3 that is capable of supplying 5V to the processor. It was noticed that the proximity 0 and proximity 7 are subject to noise, in particular the value returned from these two sensors can vary up to 30 (the variation of the others is in the range of 2-3). This noise is coming from the camera clock, thus as a workaround the camera can be turned off if this noise causes problems. The Microchip ICD2 programmer P/N 10-00319 isn't supported on 64-bit OS. If the robot was programmed with a firmware in which the Bluetooth is used to write continuously data to the computer, then you can experience problems in uploading a new firmware to the robot. To solve the problem you should try resetting the robot continuously during the connection to the robot when you are uploading a new firmware, basically you should reset the robot (press and release the button continuously) until the connection led turn on, then stop resetting; with a bit of luck you should be able to upload it. 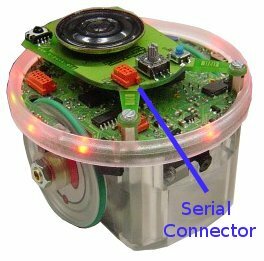 The e-puck motors are step motors. To save energy, the motor phases/steps at low speed are not energized all the time but just partially. This might affect the speed precision at speed below 200. If one has specific needs at that low speed and want the single steps to be more energetic, then the TRESHV and MAXV constants in the file \motor_led\advance_one_timer\e_motors.c within the e-puck library need to be adapted (decrease their value). Alternatively the power save feature can be completely disabled by commenting the POWERSAVE constant. 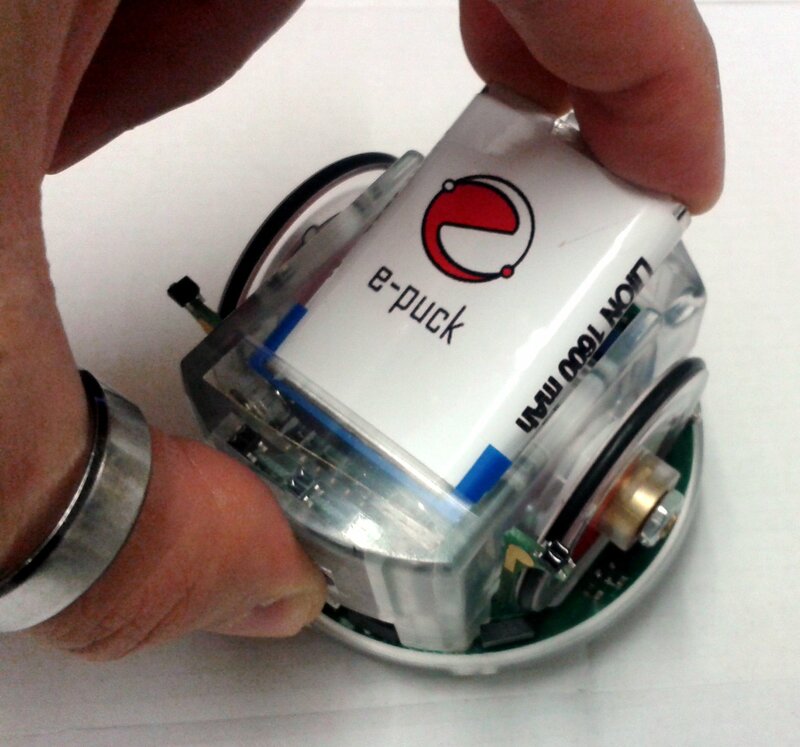 You can have a look at a mail archive (February 2007 - December 2016) regarding the e-puck robot from the following link https://www.mail-archive.com/e-puck-user@gna.org/index.html. In this archive you can find problems encountered by users and related solutions. This page was last edited on 26 March 2019, at 10:07.